Opener De Kock stole the show with the bat as he hit a 52-ball 81 (4x6, 6x4) to set the tone for Mumbai Indians in match 27 of IPL. IPL 2019 Mumbai Indians vs Rajasthan Royals, Match 27: Quinton de Kock was all set and looked determined to end Mumbai innings with a big flourish as he was tearing apart the opposition bowling attack to all parts of the ground. But a stunning effort in the field by Jos Buttler cut short de Kock’s plan as the explosive Protea departed for a well-made 81. 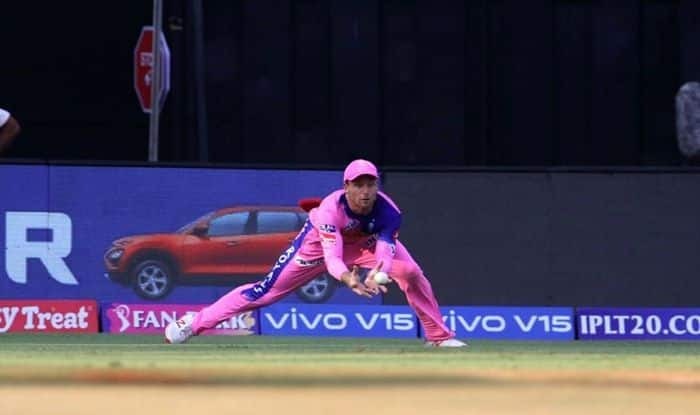 For the effort, the Englishman had to cover a lot of ground from long-off and timed his dive to perfection to complete the catch.